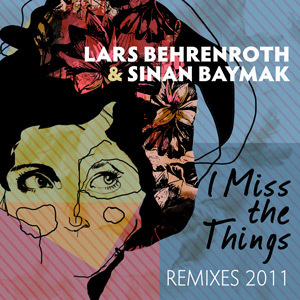 Three years after the original release of "I Miss The Things", the timeless and emotionally charged production by Lars Behrenroth & Sinan Baymak gets remixed by celebrated West Coast darling Stephen Rigmaiden, Italy's successful production team Mindtech aka Salvatore Agrosi & Marco Fracasso and Berliner by choice, Alland Byallo. The three different remixes cover a variety of deep house styles so you can find the perfect slot in your DJ sets for either rendition. Love this release! the vocal delivery is solid, all the remixes work, fav is the mind tech one however the rest are proper for different grooves..great job..keep em comin! Stephen Rigmaiden's remix is my favorite. Also featured it in the Gogo Music Radio show. Digging the Mindtech mix on this. Out of the three remixes here the Alland Byallo is most ground breaking, feeling the crunch o this one! Dope dope, solid remixes all around from Alland to Stephen. However the Mindtech mix is just ridiculous. Full Support. This is a heavy assault! The Mindtech mix is tearing! Speaker damage. Really into this! Many thanks full support, ill get this on my Soul elements show tomorrow! Definitely a nice record, I dig Alland's mix alot..
All the mixes are solid. Also the mixdown sounds clean and powerful.. Full support. I like the mindtech remix - good deep vibe on that one. Thank you for taking me backing back to this beauty. I'm really feeling Stephan Rigmaiden mix the best on this pack - it's so smooth and compliments the vocal properly - best of luck with it - it's def going down. I like the Rigmaiden Remix. Dope release bro! Loving Stephens remix.